News and Information Safe to go outside again. Redeem this discount for $25 off. The rainy season is here and in South Florida, that means the beginning of mosquito season. The mosquito population and the diseases transmitted by mosquitos are increasing at alarming rates. Every year, news programs document case after case of mosquito transmitted illnesses like Encephalitis, West Nile Virus, Malaria and Dengue Fever. JP Miller now offers a mosquito protection service that targets the areas on your property that attract mosquitoes. The frequent rains create standing water and when these areas around your home and landscaping don’t dry out, these wet zones are where the mosquitos will rest and breed. Mosquitos will always find you and can detect the carbon dioxide when you exhale from up to 100 feet away. Our mosquito protection service consists of three steps. 1. Our service professional will thoroughly inspect your property to identify conditions that may be attracting mosquitos. 2. (Zone 1) We will treat the perimeter of your home and adjacent landscaping with power fogging equipment focusing on the dark, damp areas to suppress mosquito activity. 3. (Zone 2) We will treat the outer boundary of your property and surrounding landscaping to create a protective barrier that will keep mosquitos away. We have been the trusted experts in our field for over 40 years. Call our office to schedule a property inspection and quote or to talk about any questions that you may have. 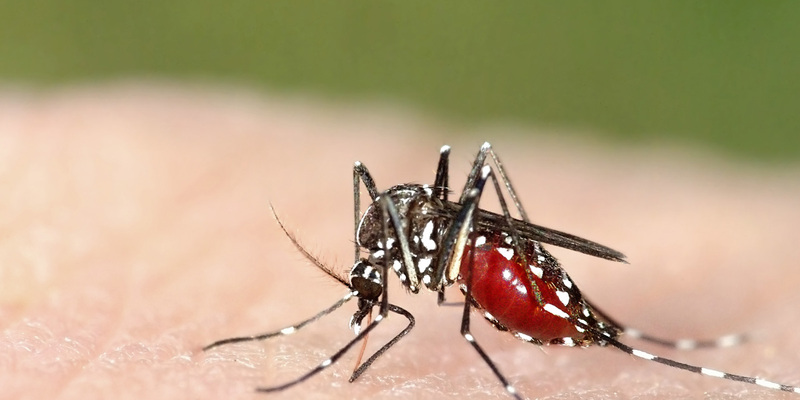 JP Miller & Sons Mosquito Protection Services – It’s safe, effective and affordable. Enjoy your backyard again! Redeem this discount for $25 off your 1st mosquito protection service when accepting an annual mosquito program.